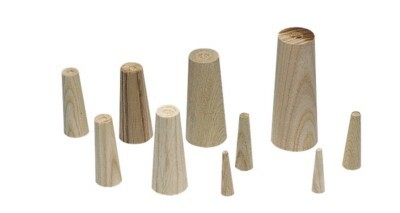 Conical wooden plugs to fight against water ingress. 3 bags containing an assortment of different sizes. *First digit = largest diameter (cone base). Second digit = smallest diameter (cone tip).